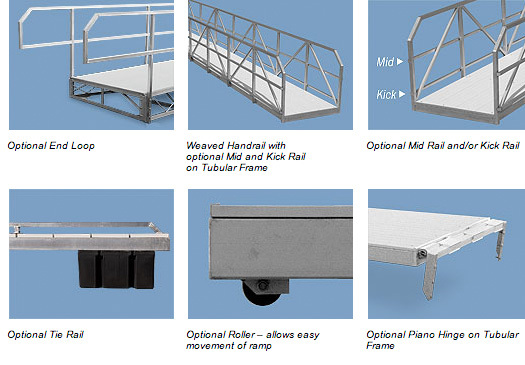 Four handrailing styles are available. 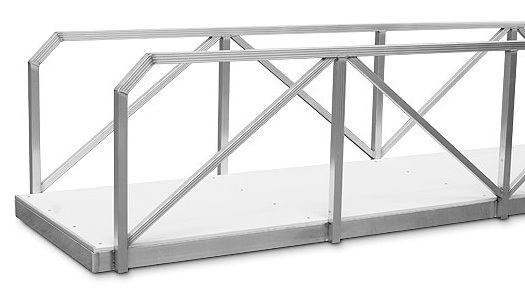 The standard handrail is a bolt together system using 1-1/4” aluminum pipe. 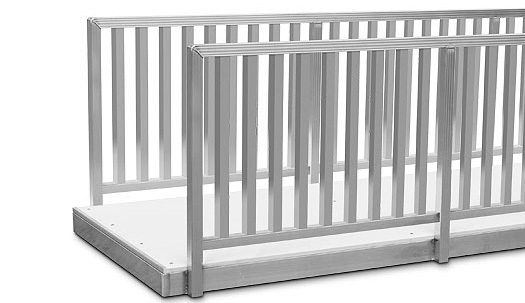 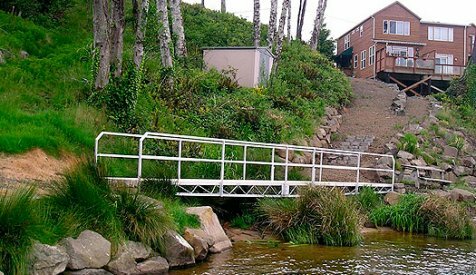 The Classic, Weaved and ADA styles are all-welded railings using 1-1/2” square tubing. 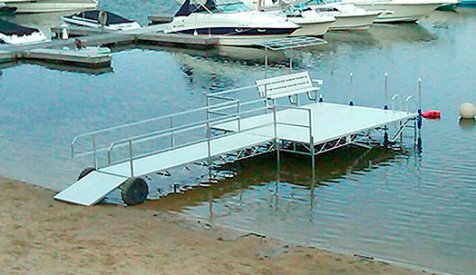 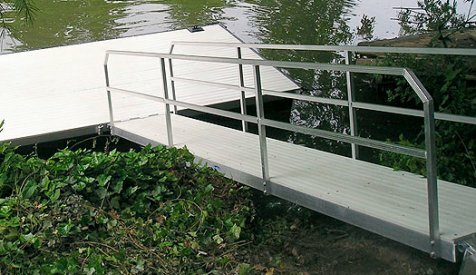 Gangways are available in many widths and lengths to suit your needs. 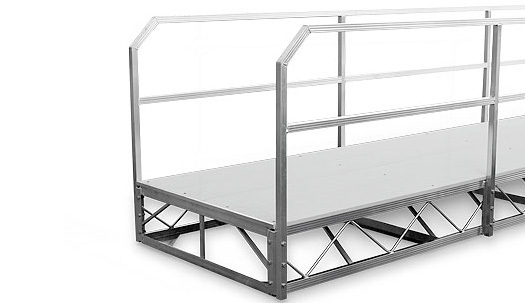 Choose from truss or tubular frame construction and four decking options. 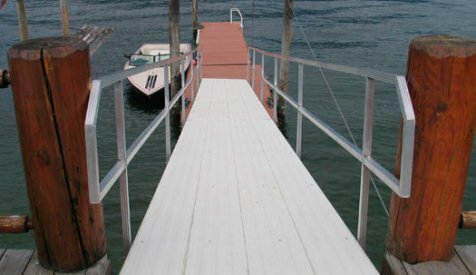 You may also add optional piano hinges, rollers, handrailings, mid rails, kick rails, tie rails, and end loops to enhance your walkway design. 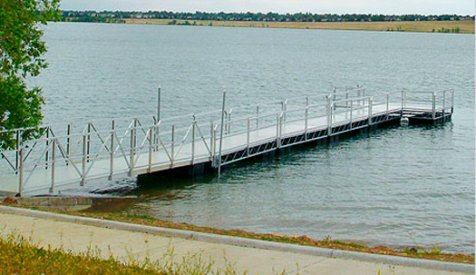 Call us for help with your unique or difficult railing requirements. 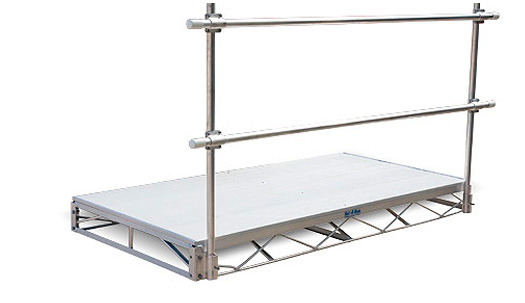 For more information on this product please view the manufacturers website.